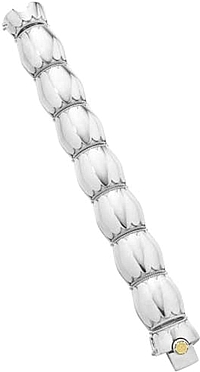 This cuff is thinner on the inside and becomes thicker as it wraps around the wrist. 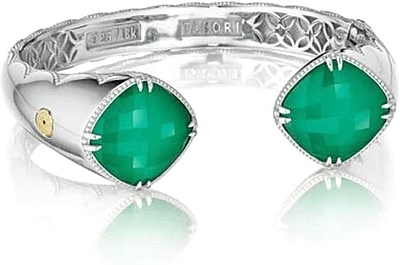 Green cushion cut stones are perfectly placed and surrounded by milligran detailing where the ends of the cuff meet. 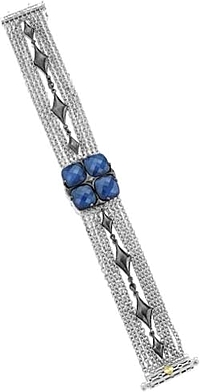 Signature Tacori crescent detailing lies on the interior of the bangle.